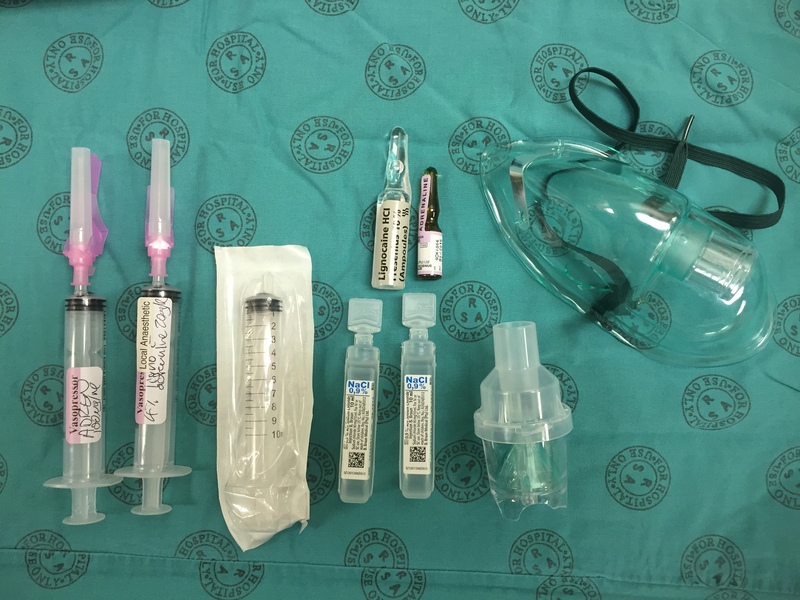 If you work in an environment without constant access to staff to clean and process your video laryngoscopes, you need to know how to do it yourself. This quick video demonstrates pragmatic cleaning of the C-MAC VL (original and latest version) for low-risk patients. Where there is high infection risk, heavy soiling or blood on the blades, high level disinfection may be indicated. 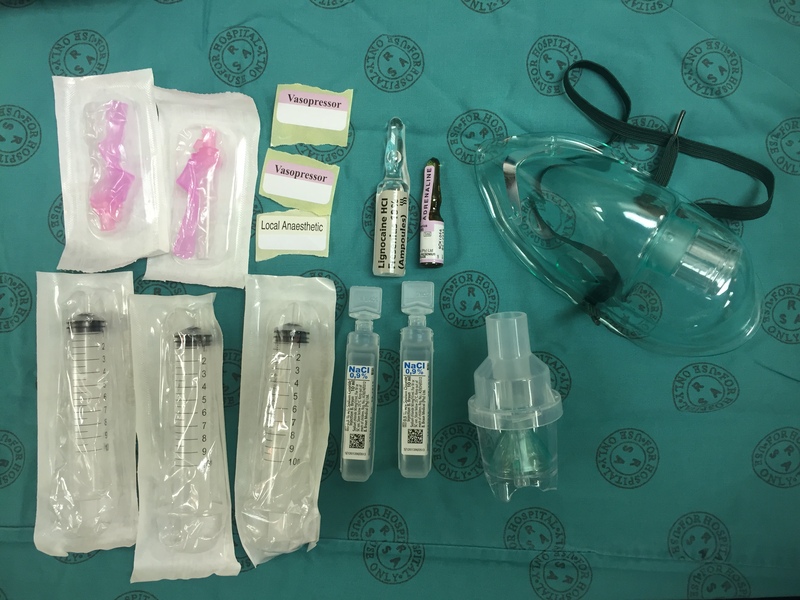 Jean-Christopher Ozenne (@JCOzenne) of Gouvieux, France has generously published this great video on how to build “The Mustache” – a breathing, bleeding cricothyroidotomy simulator – using cheap and ubiquitous equipment. Can’t wait to try this one out…I particularly like the artistic touch. To paraphrase V himself: A cric trainer without bleeding is not a cric trainer worth having. Herewith a quick tutorial on the use and placement of the bifurcated, dual-balloon ‘EZ-Blocker’ bronchial blocker. More videos on the DLT vs BB debate, the other blockers, and troubleshooting advice to follow. Comments welcomed as always! Another quick training video, on the basic techniques of driving a flexible scope (fibreoptic or video) for intubation. This was made specifically as a primer for people in our own department taking part in a training study, but hopefully it is useful to a larger audience! Please put your comments and (hopefully constructive) critique below. As always, you’re welcome to use with attribution! The permanent page for this video can be found here. 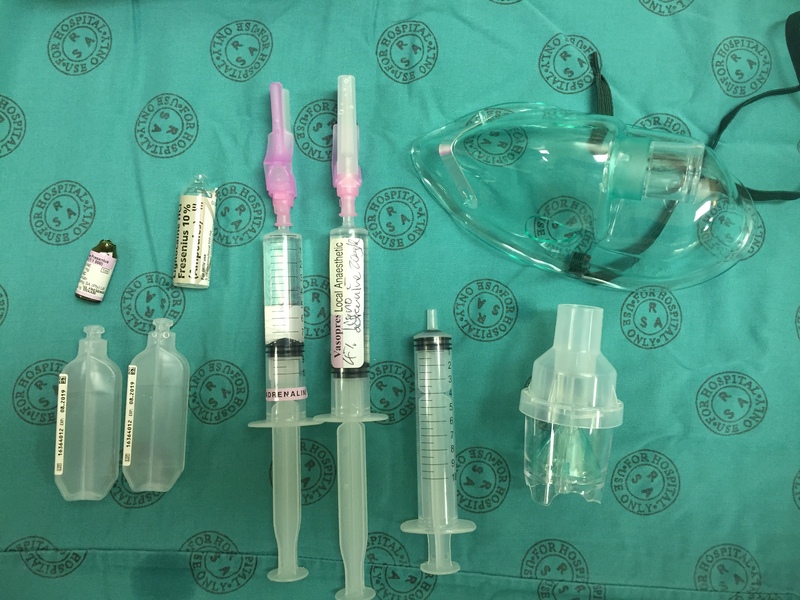 Quick overview of the surgical cricothyroidotomy technique as presented in the 2015 Difficult Airway Society guidelines. This is simply presenting the technique in a manikin model, not intended as a debate about the relative merits of needle vs. surgical, blade vs. hook, scalpel-finger-bougie vs. scalpel-bougie-tube, etc! Don’t forget to wear your PPE (gloves, mask, eye protection) and appropriately secure the tube afterwards. As always, constructive criticism and suggestions for improvement are always welcomed in the comments section.